Deputy UN Ambassador Kim In Ryong told the General Assembly's committee on disarmament that the situation on the Korean peninsula "has reached the touch-and-go point and a nuclear war may break out any moment." 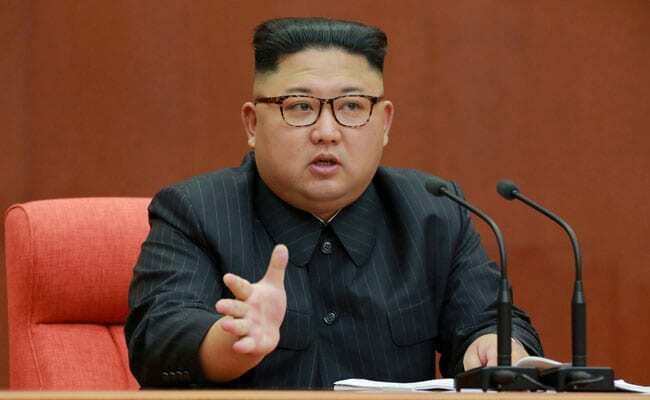 United Nations: North Korea on Monday told the United Nations that it will never negotiate the dismantling of its nuclear weapons unless the United States reverses its "hostile" policy. "Unless the hostile policy and the nuclear threat of the US is thoroughly eradicated, we will never put our nuclear weapons and ballistic rockets on the negotiation table under any circumstance," he said. President Donald Trump has engaged in an escalating war of words with North Korean leader Kim Jong-Un, trading personal insults and threatening to "totally destroy" North Korea if it threatens the United States. But US Secretary of State Rex Tillerson said Sunday that Trump wanted to avoid war, even though the president said on Twitter that Tillerson was "wasting his time" with diplomacy. "He's not seeking to go to war," Tillerson told CNN, adding ominously that efforts would "continue until the first bomb drops." Following a series of missile launches and a sixth nuclear test, Kim said his country "had passed the final gate" toward becoming a full-fledged nuclear power, with the means to deliver a nuclear strike. "The entire US mainland is within our firing range and if the US dares to invade our sacred territory, even an inch, it will not escape our severe punishment in any part of the globe," said the North Korean diplomat. The United States and South Korea on Monday began a 10-day joint naval exercise in a fresh show of force against the North, with a US aircraft carrier and two US destroyers taking part. Kim said North Korea will not target any country that does not join a US-led military campaign. "As long as one does not take part in the US military actions against the DPRK, we have no intention to use or threaten to use nuclear weapons against any other country," he said. The United States led a drive at the Security Council to impose two new sets of tough sanctions against North Korea over its nuclear test and intercontinental ballistic missile tests.